Callan Salvage & Appraisal specializes in handling mercantile, commodity and equipment losses. Our prompt, professional and comprehensive services are designed to help you stabilize the situation, assess the damage, minimize the loss and provide the maximum possible recovery. 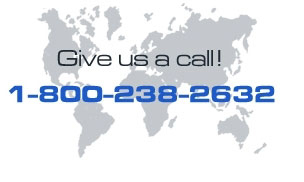 Our extensive experience and broad market knowledge allows us to handle salvage operations for virtually any kind of mercantile goods, whether it be consumer retail goods or automobile parts. Whatever the situation, we’re ready to provide accurate loss and damage assessments, stock segregation, inventory verification and procurement of cost documentation. CSA is experienced in handling a broad range of mercantile items, from common consumer products to industry-specific goods. Whether it’s dealing with care-sensitive goods like paper or linens, bulky wares like carpet or furniture, high-end products such as electronics or jewelry, or specialized items like medical or pharmaceutical supplies, our extensive market knowledge guarantees a salvage disposition strategy that delivers the best return while protecting your brand. CSA excels at finding creative solutions for even hard-to-dispose-of items. For example, when government regulations prevented a damaged consumer chemical product to be sold domestically for their original purpose, we found an alternate use that both met the requirements and brought our client a nice return. Some of the mercantile items we have successfully handled for our clients include: paper, linens, clothing, furniture, beauty supplies, jewelry, carpet and flooring, plastic, lumber, grocery items, medical equipment and supplies, pharmaceutical items, appliances, tobacco products, computers and electronic devices, automobile supplies, house wares, books, footwear, glass, sporting goods, and mattresses. 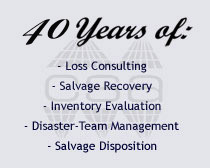 Whether your mercantile losses are large or small, simple or exotic, CSA can help. For examples of some of our mercantile > salvage success stories, please click here. As one of the nation’s few experts in the demanding field of grain and commodity losses, we’re uniquely equipped to help turn impending catastrophe into unexpected opportunity. Our experience in silo fire-fighting techniques and our expertise with the particular salvage equipment necessary for commodity losses help quickly stabilize the site and limit damage, which is usually the first and most important concern in these cases. Following site stabilization, our specialized knowledge of not only the appropriate markets, but also the applicable USDA, FDA and OSHA requirements, helps maximize your net returns and avoid unnecessary red tape or legal hassles. For examples of some of our successes handling commodity losses, please click here. Specific commodity loss situations we’ve handled for clients include grain, soybeans, corn, milo, fertilizer, steel, vegetables, rice, millet, cotton, cottonseed, alfalfa and fruit and more. If farm, construction, manufacturing or other heavy machinery has been affected by a loss event, you can rely on our decades of experience in this field. Our rapid response, thorough damage assessment and prompt identification of prospective buyers help ensure speedy net returns. Types of equipment CSA has disposed of for clients include tractors, crawler tractors, combines, corn heads, grain heads, cotton pickers, planters, grain drills, hay bailers, skid steer loaders, land planes, power units, generators, grain carts, excavators, backhoes, crawler loaders, wheel loaders, aerial lifts, forklifts, dozers, loaders, tractor scrapers, articulated dump trucks, trenchers, directional drills, loader backhoes, light towers, wheeldozers, boom lifts, telescopic forklifts, scissor lifts, boom lifts, cranes, box blades, augers and many more. Visit our Items for Bid/Sale page to see more examples of current equipment CSA is successfully salvaging for its clients.